Traditional Chinese Medicine (TCM) is an elegant and comprehensive holistic medical system which strives to treat the underlying cause of disease, while alleviating symptoms and improving quality of life. Emphasis is placed on nourishing the body, and living in balance with the natural environment to prevent disease, to be strong and fertile, and to live with vigour into old age. Acupuncture, medicinal herbs, cupping, and nutritional therapy are some of the tools used to promote and restore health. TCM enhances the body’s natural healing mechanisms by reducing inflammation, improving circulation, boosting immune function and alleviating pain and stress. Traditional Chinese Medicine is a regulated health profession in Ontario through the College of Traditional Chinese Medicine Practitioners and Acupuncturists of Ontario (CTCMPAO www.ctcmpao.on.ca) The College sets the standards and scope of practice, and ensures that practitioners are providing safe, professional and ethical healthcare to patients. Chinese Medicine can safely and effectively treat a wide range of issues. Pain, stress, anxiety and sleep disorders are commonly treated in clinic. In addition, the practice has a special focus on helping men and women improve their fertility, supporting those undergoing Assisted Reproductive Technology (ART) such as IUI and IVF cycles, providing pregnancy support, and post-partum care. Hi, I’m Amy Lipsett. 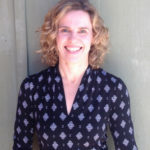 I’ve been practicing Chinese Medicine since 2009 and I’m registered both as an Acupuncturist and Traditional Chinese Medicine Practitioner with the CTCMPAO (www.ctcmpao.on.ca). I feel honoured everyday that I can offer support and witness the powerful healing ability of the human body and spirit. Being a parent is one of the greatest joys of my life, and I love working together with women and men to support them in their journey towards parenthood. 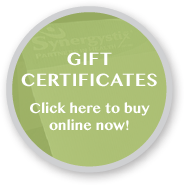 I’m a lifelong learner and I continue to increase my knowledge of this powerful medicine by learning from international experts in the field. Before studying Chinese medicine I worked as a Registered Veterinary Technician helping critically ill and injured animals at the Veterinary Emergency Clinic in Toronto. And prior to that I was an outdoor educator teaching adults and children about nature connection, outdoor skills, and dogsledding. When I’m not practicing or reading about Chinese medicine, I’m a proud Mom and wife, canoe tripper, aspiring gardener, swimmer, and nature nut! Need more information about acupuncture and Chinese medicine? 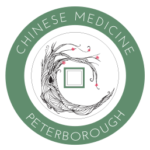 Come visit www.chinesemedicineptbo.com for more details, online booking, FAQ, initial visit information, forms and more. If you still have questions, don’t hesitate to contact the clinic directly! Ready to book your appointment? 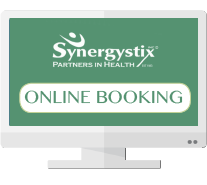 Click: to go directly to the online appointment scheduler. Please note, that the clinic is on the 2nd floor of Synergystix. If you have mobility limitations and can’t climb a flight of stairs, please call the clinic directly to make special arrangements to be treated on the main floor.